COMMERCE, Calif., April 26, 2017 /PRNewswire/ -- Smart & Final Stores, Inc. (NYSE: SFS) – the neighborhood warehouse grocery store – today announced it will transition the full line of Tradewinds Spices & Seasonings under its signature First Street private label brand, expanding its national brand equivalent or better tier of products by more than 140 items. The transition comes as the company aims to expand its First Street product portfolio, which makes up 75 percent of Smart & Final's private label sales. The First Street line of spices and seasonings carry the same formula and quality, but are updated with a new First Street label and packaging. Sold in Smart & Final, Smart & Final Extra! and Cash & Carry Smart Foodservice stores, products will be stocked as stores run out of individual Tradewinds items, with a full First Street spices and seasonings product reset to be completed in stores by mid-May. "Since we introduced First Street, we have continued to see a positive shift in consumer perception about the quality and value of private label products," said Raymond Swain, Vice President of Corporate Procurement, Smart & Final. "We want to assure our customers that the consolidation of Tradewinds to the First Street private label will not compromise the taste and formula of the spices and seasonings. This is just another way we continue to streamline our product inventory to deliver our customers high-quality products at the right price," he added. As part of the brand transition, Smart & Final has introduced an updated First Street logo that features a contemporary look and acknowledges the company's 146-year history. The consolidation of Tradewinds to the First Street brand will not impact the formula or quality of the spices or seasonings. 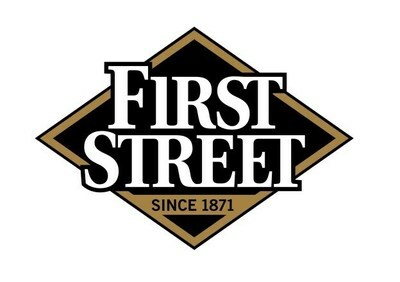 Customers will still enjoy the same product, simply packaged in the updated First Street logo and labels. As part of the re-brand, customers can participate in a special sweepstakes for the opportunity to win a prize and donate to a charity of their choice. Beginning April 26 through May 16, Smart & Final customers can participate in a special sweepstakes for a chance to win and a chance to give back to their communities – a nod to Smart & Final's First Street, First Percent charitable donation program. With the purchase of any First Street brand product, shoppers will receive a code to enter to win a grand prize of $1,000 Smart & Final gift card and nominate their favorite nonprofit to receive one of 15 $5,000 charitable donations. Additionally, there will be 240 winners of a $100 Smart & Final gift card. The Smart & Final Charitable Foundation will select from the charities nominated based on the company's focus on health and wellness, education, hunger relief, and team sports and youth development initiatives in the cities it serves. In total, the company will award $25,000 to customers and the Smart & Final Charitable Foundation will donate $75,000 to nonprofit organizations, for a total of $100,000 in prizes. Giving back to local communities remains a priority at Smart & Final, and is realized in several ways, including its First Street, First Percent program. With the purchase of any First Street branded item, Smart & Final donates the first percent of net profit to the Smart & Final Charitable Foundation. The First Street private label brand includes more than 2,000 products across most categories throughout the store, including: grocery, frozen, dairy, packaging and cleaning products – and now seasonings and spices. "The First Street private label name was coined as a nod to the days when every town had a grocery store on Main Street," said Eleanor Hong, Chief Marketing & Strategy Officer, Smart & Final. "However, Smart & Final also wanted the name to reflect the company's commitment to putting customers and community first. The combination of both ideas was how the First Street name was born." In addition to the flagship First Street private label brand, Smart & Final sells a variety of diverse private label brands including: Sun Harvest (natural and organic), La Romanella (Mediterranean-inspired foods), Montecito (Hispanic foods), Ambiance (coffee) and Simply Value (value offering). Smart & Final Stores, Inc. (NYSE: SFS), is a value-oriented food and everyday staples retailer, headquartered in Commerce (near Los Angeles), California. The Company offers quality products in a variety of sizes, saving household, nonprofit and business customers time and money. As of January 1, 2017, the Company operated 305 grocery and foodservice stores under the "Smart & Final," "Smart & Final Extra!" and "Cash & Carry Smart Foodservice" banners in California, Oregon, Washington, Arizona, Nevada, and Idaho, with an additional 15 stores in Northwestern Mexico operated through a joint venture. In business for over 145 years, the Company remains committed to giving back to local communities through employee volunteer opportunities and Company donations to local nonprofits.